From the waterways of the Lynnhaven River to the hiking trails of First Landing State Park, we love to take in the sights and sounds of Virginia Beach from every angle. While new experiences can be found around every corner, there’s only one place to go if you’re looking to take it all in at once – up. To see our coastal city like you’ve never seen it before, take to the skies and leave the ground behind. 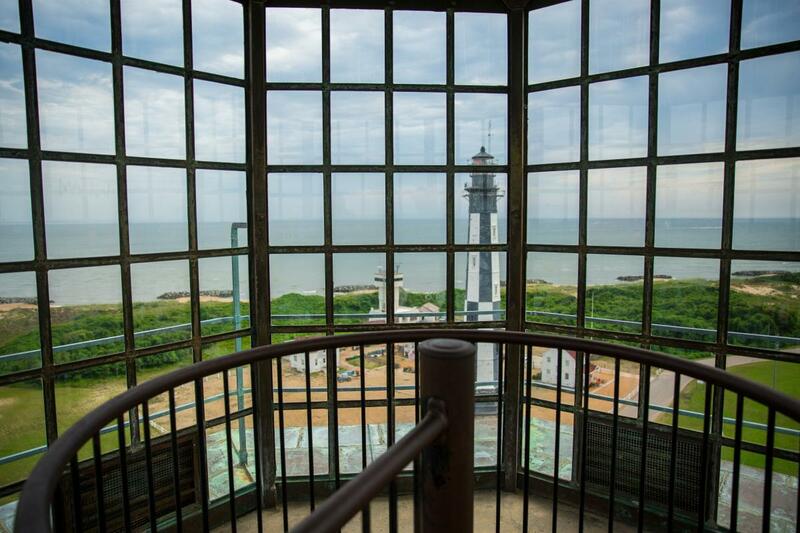 Here are some of our favorite ways to get up among the clouds for a breathtaking view of VB. Towering 20 stories above the Virginia Beach Boardwalk, atop the Hilton Virginia Beach Oceanfront, SkyBar offers visitors breathtaking views of the Resort Area. Combine that with great music and delicious fare and you have a night at the beach that you won’t want to end! Take a step back in time for one of the most unique and exhilarating experiences Virginia Beach has to offer. 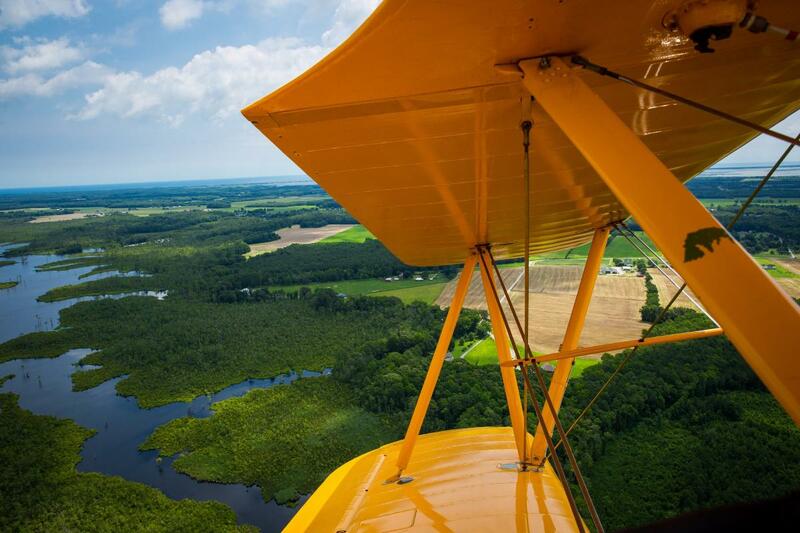 Taking off from the Military Aviation Museum in the Sandbridge Area, a ride in this 1941 Boeing Stearman, complete with helmet, goggles and an open cockpit, provides a surreal bird’s-eye view of the area that harps back to America’s Golden Age. If you haven’t tried it, there’s no better time than now! Hop aboard a boat operated by the family-owned Adventure Parasail out of the Rudee Inlet and see what the buzz is about. 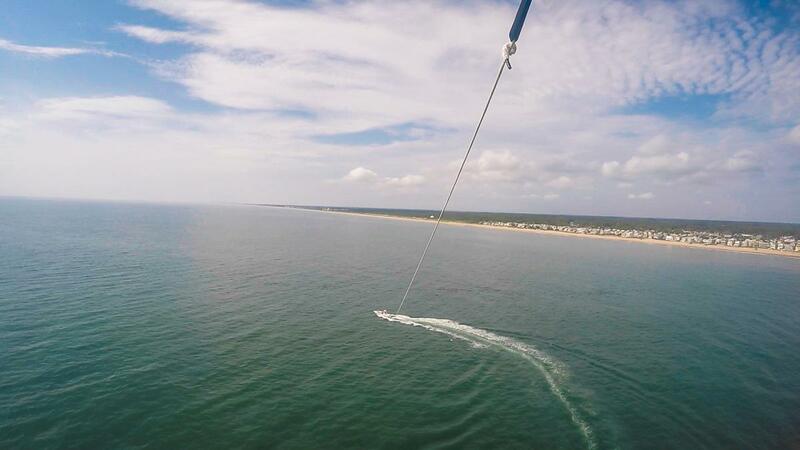 Parasailing offers spectacular views of the VB coastline and a surprisingly calm, surreal experience that everyone will enjoy. So, what are you waiting for? Reach for the sky and see for yourself. 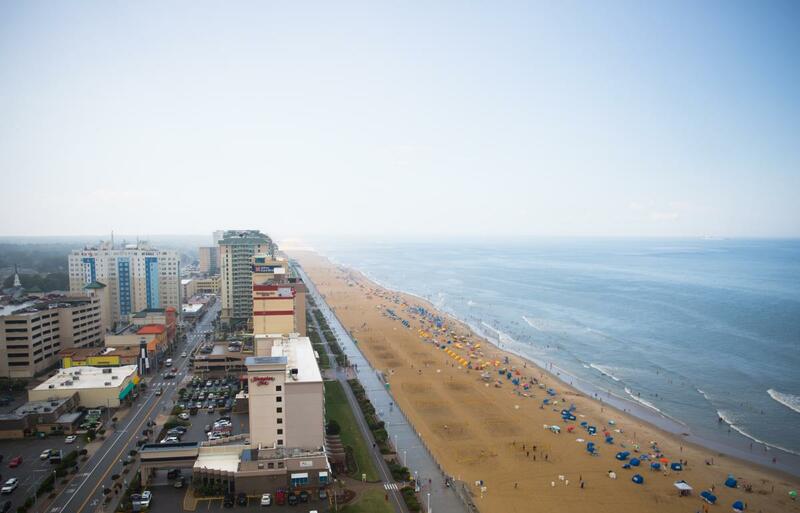 While Virginia Beach looks great from all angles, we think everything looks better from the top!